Taradale’s shopping centre upgrade may have had a higher cost than the $3.5m price tag with parking meters scaring customers & retailers away. I went for a walk through the Taradale Shopping Centre a couple of weeks ago and was quite disappointed with what I saw – Twelve empty shops – yup, a whole dozen. 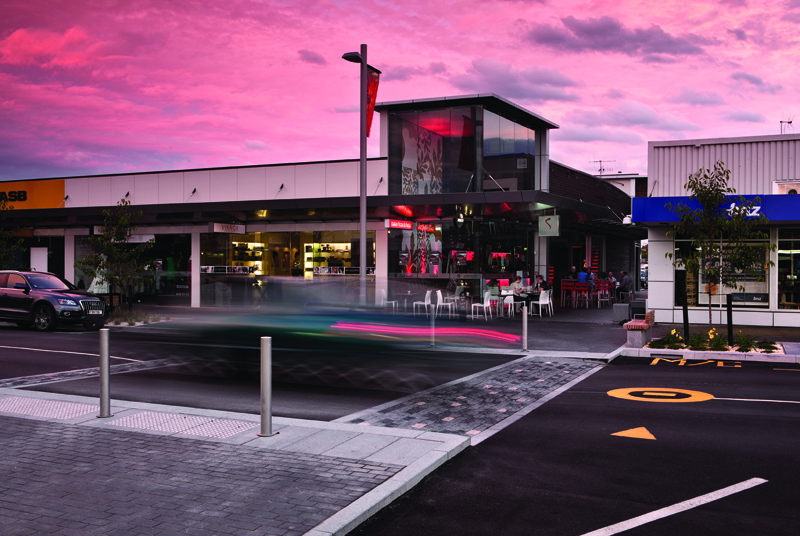 From what I’ve been told, a mixture of parking meters scaring off potential shoppers and, like in Napier’s CBD, landlords jacking up rents and leases to coincide with the redevelopment have scared off a large number of businesses. Very few people were around at the time I visited. This was, admittedly, on a Monday or Tuesday afternoon, so perhaps not peak-hour, but still far less activity than I would have expected. In fact, the busiest business I saw was the new funeral home, which had faced a great deal of criticism on opening, but given Taradale’s older demographic I thought was a stroke of business genius on the behalf of its owners. “..The range of shops has sadly shrunken dramatically. Like Napier’s CBD in the late 90’s, going cappuccino crazy following the trends of Parnell and Ponsonby, Taradale has now followed after central Napier. There are around twenty cafés, takeaways, restaurants and bars in the town centre. Quite a staggering number for such a small area. The only place which out-foods Taradale is neighbouring Greenmeadows shopping centre, whose almost total purpose has become servicing the stomachs of surrounding suburbia. I have often wondered, considering Taradale’s affluent image, if naming one of its coffee houses “Café Rich” wasn’t a bit of a piss-take. It’s not like you see a “Café DPB” in less well-off shopping areas. Often viewed as a bit of a retirement village hub, this new fastidious focus on food and frappuccinos makes me think Taradale might be trying to regress into teenage-hood. Women’s clothing stores, beauty and hair salons are not too far behind Taradale’s massive majority of eateries, making it no longer the most guy-friendly of shopping centres. Once you’ve finished your lunch you will never be short of somewhere to get clipped, waxed, coloured, curled, dressed and varnished. Yes, Taradale is becoming a teenaged girl! One of the more controversial aspects of Taradale’s redevelopment has been the introduction of parking meters. This is the first time you have ever had to pay for parking in Taradale, but it is one aspect I don’t mind – as the people who shop and park in Taradale the most will be the ones helping pay for the redevelopment. Where the new meters aren’t ruling the roadside roost, a parking warden has been tasked to the town centre to ticket those who out stay their hour-long parking limits. I’m not sure how effective this will be, though. As unless you’re having an extra-long lunch or marathon makeover, its compact size makes spending more than an hour doing what you need to do in Taradale quite hard to do. Or that could just be a guy thing. With all the additions and changes that have been made to Taradale, one important, legal, part is missing: There are no longer any marked pedestrian crossings over Gloucester Street in the town centre, only raised ‘courtesy crossings’. My mother-in-law, who regularly shops there, rang up the Napier City Council to query the crossing secession and was told that having the combination of (official) pedestrian and (unofficial) ‘courtesy’ crossings, as Taradale’s former layout did, was too confusing and dangerous for drivers and pedestrians alike (can you say ‘Road Code’?) The raised ‘courtesy’ crossings made cars slow down anyway, so the official ‘zebra lines’ and orange light that legally translate to: “Oi! You in the big, wheeled, powered, metal thing – let the soft, easily squished biped go first” were abolished in the town centre. I emailed the council on this matter, hoping they’d reply and refute or confirm these details, but like a Napier pedestrian attempting to cross an official (or otherwise) pedestrian crossing, I’m still waiting. Considering the large proportion of families with small children and elderly people who daily shop in Taradale and have to cross the road that bisects the shopping precinct, this has become a major safety concern for many. The Taradale retailers I have spoken to are bearing the brunt of some incensed questioning over this issue. It’s truly amazing how little things have changed in two years. Do you think the council and its representatives have done enough for their ward? Taking a stroll through the heart of their domain, I wouldn’t think so. 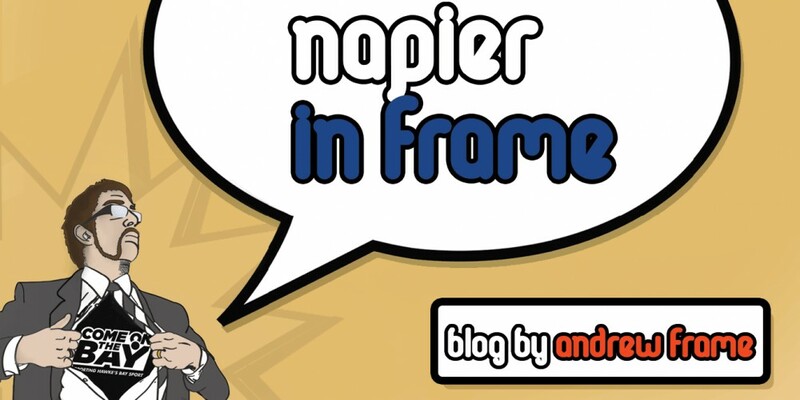 This entry was posted in Hawke's Bay, Opinion, Politics and tagged Napier, Opinion by Andrew Frame. Bookmark the permalink.